Company spokesman,Antwan Albuoy says Kinezumi Water Sports will have the Seabreacher craft as it’s flagship attraction. When asked how the idea of starting Kinezumi Water Sports came about, Mr. Albuoy replied, “That’s an interesting story. Initially Shena and I planned on launching a land based tourist attraction business in 2016. We were 3/4s of the way completing our business plan and financials when one afternoon in August I saw a picture of the Seabreacher online. 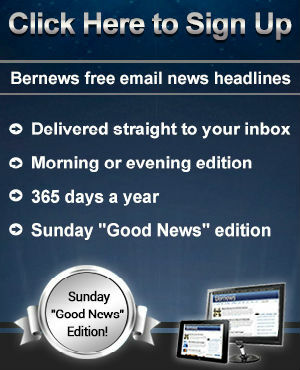 “I went to the company website and thought it would be interesting to bring to Bermuda. I mentioned it to Shena that evening and we decided to proceed with our land based business idea and look into bringing the Seabreacher to Bermuda in 2017. “I attended the Lunch and Learn sessions the Bermuda Tourism Authority [BTA] held during this past summer. During one of the presentations, it was mentioned that water activities ranked 2nd with visitor expectation vs satisfaction [not completely satisfied]. “It was also mentioned that two of Bermuda’s top searchers [for vacations] were ‘adventure seekers’ and ‘go for it families’. These revelations further sealed my desire to import the Seabreachers. Long story short, the Department of Airport Operations declined our application for the land based business. When asked where will Kinezumi Water Sports operate from, Mr. Albuoy replied, “Marine and Ports designated an area between Devonshire Dock and Gibblet Island for us to operate. “More than likely we will use Flatts as our home base. I stopped by Flatts dock a few times over the past few weeks to gauge the area and traffic. It will be a challenge for us to use Flatts as our home base for a few reasons; mainly because there aren’t any bathrooms for our clients and staff to utilise and there is no electricity. Also, we don’t want to intrude on the operations of the Aquarium. Mr. Albuoy continued, “The Marine and Ports Code of Practice stipulates all staff must be CPR/First Aid certified and during our meeting, the M&P Board informed me all Seabreacher pilots must have their pilots license. The Bermuda Red Cross offers many CPR/First Aid certification classes and their first class starts on January 12th. “The Community Education and Development Programme offers courses for individuals to obtain their pilots license starting January 18th. Even though we won’t be launching the business until May or June, we wanted to launch the website now and announce what the business was to give potential Team Members enough time to do what they need to do to be qualified as potential employees. “To put things in perspective, there are approximately 2 million jet skis in use world wide. However, there are less than 100 Seabreachers worldwide. It’s fair to say that 99.9% of our adrenaline junkie thrill seeking visitors haven’t had the thrill of riding in a Seabreacher. Shena and I are certain many of the thousands of visitors which grace our shores and the local community will have immense fun being piloted in them. “In addition to the Seabreachers, we will also be operating the Jetovator. 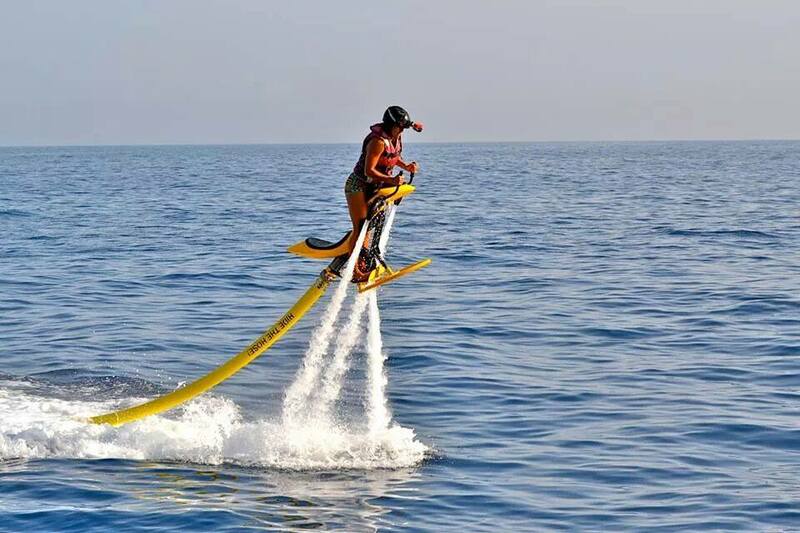 The Jetovator is a water sports accessory that extends the ability of an existing PWC and redirects the water thrust from the jet unit of the PWC along a 40-60 foot hose to the Jetovator body. It’s similar to riding a bike but riding a bike on water instead. For starters we will have 3 Seabreachers and 2 Jetovators. “I would encourage all budding and seasoned entrepreneurs to attend the BTA’s Lunch and Learn sessions. The BTA does all of the research for you and it’s free data. All an entrepreneur has to do is see if their business idea syncs with the data the BTA provides. Nothing in life is guaranteed but it’s not a risk if you don’t try! “Shena and I would like to thank the Director and the Board of Marine and Ports for granting us permission to operate both vehicles. It would be very remiss of me not to give a heartfelt thank you to the Permanent Secretary of the Ministry of Tourism Development and Transport, Mr. Francis Richardson, and also to his Executive Assistant Ms. Deborah Trott. If it wasn’t for Mr. Richardson and Ms. Trott, we wouldn’t be making this announcement today. Great idea! It’s doomed if you have worked so closely with the government on this idea. It should have been located in Dockyard near where the tourist are. The price point looks thru the roof. Seabreachers cost around $80k-$100k so I can see the cost justification. Just doubt he’ll see much business until he lowers his prices. This article seems to include an excessive amount detail for a project that does not have all t’s crossed and all i’s dotted. Thanks Vote for Me. Which part is missing the T’s crossed and I’s dotted? The website is 99.9% completed. There are 2 or 3 minor things that need to be changed but those changes will not affect any decisions for potential clients in 2016. Don’t take the bait. There are many , many , many regular posters that have nothing positive to say about anyone, or anything EVER. As a businessperson I’m sure you can appreciate constructive criticism, cautious concern, good ideas, and most input…but sadly most of the time that isn’t what you get here. Don’t take it personally it has nothing to do with you, your business or the article on Bernews. Some people just live and love to hate. Others love to complain. I think its a side effect of listening to too many of those politically biased talk shows. Good luck to you and your partner. Hopefully a few people that post can offer some positive feedback instead of just being Debbie Downers. Yes, I can appreciate constructive criticism, cautious concern, good ideas, and most input…I welcome it actually. Thanks. We are looking forward to 2016. It wasn’t bait at all…your code down the bottom is messed up, pages aren’t completely done, etc. Or am I lying? Just giving you a heads up….good luck! The code at the bottom isn’t code. It’s just text. That section is for a testimony which I can’t provide one yet because the business hasn’t launched. I left it there because even though the website is a WP site which I can update on my own, there are some things I can’t because I’m not a programmer. I didn’t want to pay my designer $50 just to update that bit of text which would only take about 5 minutes. Same with the street address and phone number. Whilst permission has been granted, it does not appear as if you have a definite site. Have you contacted the aquarium and neighbors for comment etc. We have a definitive area of operation on the ocean. There’s a choice of what to use as a home base. Ive grown up in the Flatts area and lived in and around Harrington Sound for 30 = years ….what swimmers???? Aside from a few people that swim off the dock across from Harrington Sound school, what swimmers are you referring to that might be in danger. How is this any more dangerous than the ski boats that occasionally operate near St James Court. Did I miss something because from what I read he mentions Devonshire Dock and Gibbets Island which is on the other side (North Shore) of Flatts bridge. $150 for 20 minutes. Can’t see cruise ship passengers paying that. Not sure I would trust the BTA research. Seems extremely risky, but good luck! Can’t trust the bta at all is more like it. They should do it in Harrington Sound, minimal boat traffic 75% of the time, a unique look of the island, it’s sheltered from any harsh weather that may close it if was out in the open and little to no high dwelling reefs that the craft may encounter when it submerges(this will be this business downfall if it is allowed out in the open ocean)…. Plus it gives the visitors a reason to travel to that part of the island opening up more business opportunities for others. $149 for 20 minutes – 5 minutes for instructions…..no thanks! where is this figure coming from? 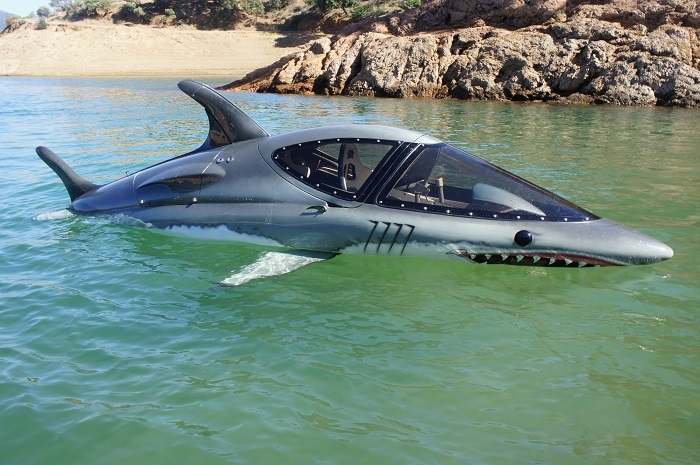 do you have exclusive rights for the seabreacher? Yes, we do. We have exclusivity for both craft. Now why is it that i approached marine and ports about this oppurtunity well kver a year ago and was “illegal” to have undersea water crafts. Yet, here we are. I guess i dont know anyone important. It’s not what you know…it’s who you know! you approached them incorrectly possibly. This isnt a “underwater” watercraft so if thats what you told them, thats your fault. They are registered and approved as normal watercraft’s by the US coast guard and explicitly says on the seabreacher website that this is NOT a submersible vehicle. You should have pushed the issue knowing that years ago we used to operate submarines here for tourists???? You got bad advice and things do change and true entrepreneurs push until they get what they want. I remember the submarine and I asked someone what happened to it. You are correct about the ‘pushing’ part. God thing I’m not a quitter. It was in Dockyard for years. I remember something about it being sent to Cuba but I have no idea if there was any truth behind that. I’m curious. How many have died on a moped vs jet ski/boat in Bermuda? Are mopeds still rented to tourists? No need to be so negative. Best of luck however many water sports companies have come & gone since the 80s. The big bucks clientele that used to be here in the 80s no longer come here. Very few of the places that they stayed in are even open anymore. This is seasonal. The machines are not cheap & will be high maintenance. As much as the thrill ride might attract the younger cruise crowd their pockets are not deep enough for the costs. The cost for just a few minutes is high because the overheads are high. Insurance alone for such an activity will be through the roof. Regular tourboats are bad enough. Surely Government will not be allowing the fulltime use of a public dock & Aquarium parking for free. What happens when a member of the public wants to use the dock? It is easy to say “Go for it” when your money is not at risk. Can’t see this one succeeding. It will likely join so many other tourist marine businesses on the rocks. 20 dislikes so far. To be expected I suppose. Wonder how many of them have been in the watersport business & have a slightest clue of what is involved in it? How many do not like some of the facts pointed out? Congrats to both Antwan & Sheila on thier new business venture! Its great to see people bringing new innovation and exciting things to our island. Wishing you the best of luck and much success! Great idea you two . At least you’ve come up with a new adventure . Can’t wait to give it a try !! Congrats to you both! I would pay that price. Bermuda will certainly be the better for it! You will need a clear run and warning system within each vessel.your surface vessel running the gauntlet first with at least two observers for and aft,and stay clear…insurance will be an obfuscated nightmare,be careful on initial investment.Shop around.My first choice would be that new hydrofoil glass bottom boat…in which you are propelled via diesel,hydrofoils,and water jets…out fast cheap to operate and unique…you sit around a large spheracal viewing bubble…or two ,three man sub…the kind they get the drugs off the bottom of cargo vessels and cruise ships with disguised as zincs….. I think it is a great idea!I’m only wondering if you have put a lot of thought into the temperment of bermuda waters!I watched the youtube video and it does look like fun,but I saw and didn’t see a few things!what I saw was it being driven in a lake.no swells like the ocean has.which will change the performance of this jet ski.I’ve owned a jet ski for years.when your dealing with flat smooth water it will work great but in the ocean where most times there is wind so there will be swells this machine is not going to work as good!I hope you have looked into this! Yes, all that has been researched. These craft are currently operational in St. Lucia, Cancun, Miami, Dubai and Bahamas just to name a few locations. All ocean operations and the craft perform as they were built to perform whether they are being operated on a lake or in the ocean. Reading this post, it becomes crystal clear why many do not share their plans with the public or allow the Bermudian Community to know who is behind business ventures. Too many people worrying about the hole in the doughnut…..Dummy, eat the doughnut and there will be no more hole Also In the words of Shakesphare in Hamlet, Give many thine ear but few thy voice….